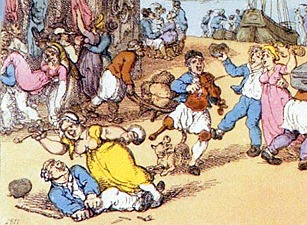 Today, I’m happy to introduce The Coastal History blog’s first guest post. Julia Leikin is a Ph.D. candidate at the UCL School of Slavonic and East European Studies. Recent events involving Russia and Ukraine have prompted many op-ed pieces and impromptu reflections on lessons from the past. Some commentators have drawn attention to Russia’s religious history, noting that its claim to be the “Third Rome” necessarily runs back through the Christian heritage of Kiev and of monasteries in the Crimea. Will Englund offered a different and more surprising interpretation, suggesting that Russia’s navy was the focus of “veneration” and quoting the poet Joseph Brodsky: “It is my profound conviction that apart from the literature of the last two centuries and, perhaps, the architecture of [St. Petersburg], the only other thing Russia can be proud of is its Navy’s history.” Brodsky’s enigmatic statement implies, at the very least, that the Russian Navy has profound cultural resonances reaching well beyond the military realm. Julia Leikin’s work has much to teach us here. – I.L. What do we really know about the Russian navy? Our understanding of the Russian maritime experience boils down to one platitude – a trope in lieu of analysis: Russia has always sought a warm-water port. From a cultural perspective, this myth raises interesting questions such as how such an intense political goal might have shaped the perception of “maritime Russia” in Russians’ collective memory over successive generations. Does the Russian navy even have a legendary, almost sacred status in Russian society? One journalist argued that it does. In the aftermath of Russia’s annexation of Crimea in March, he suggested that rather than any geopolitical advantage, the annexation was brought on by a collective fascination with the Russian navy. If this is true, then Russia’s high regard for the navy certainly begins in Russia’s imperial period. Indeed, many imperial and Soviet-era books construct a narrative of a noble imperial Russian navy that emphasizes its triumphs over adversity.These books recount the military successes of Peter I and Catherine II (better known by their epithets “the Great”) that resulted in the conquest of their respective ports on the Baltic and Black Seas, where they established Russia’s two main fleets. The origins of the imperial Russian navy and the periods of its greatest activity in the eighteenth century coincided with two of the fiercest efforts of modernization and Europeanization in Russian history under Peter I and Catherine II. In fact, establishing and expanding the navy was a part of those processes. As historians we may have stepped away from the modernization and Westernization narratives of Russian history, but these were some of the very concepts that motivated Peter and Catherine to pursue a maritime presence for the Russian empire. Part of the navy’s hold on the Russian imagination must stem from the fact that it is difficult to disentangle its story from the dominating personalities of Peter and Catherine. The primacy of maritime politics in Russia and its reverence for European models also came together in the institution that oversaw Russia’s naval expeditions. The Admiralty College, the top-level body in the government bureaucracy that regulated Russian ships and sailors at sea, sat directly under the monarch’s purview along with the War and International Affairs Colleges. Perhaps more than any other Russian institution, it held a high concentration of Europeans among its ranks. Moreover, in the eighteenth century Russians often received navigation and shipbuilding training abroad, even while travel opportunities for others were quite limited. As one historian noted, the naval experience propelled Russian officers into an “active dialogue with general European culture.” Of course, the presence of foreigners and Europeanization itself were controversial, but many among the elite – particularly the monarchs – saw these as the right course to advance the Russian empire onto the international stage. In any case, it is fair to say that the preponderance of European culture lent a certain cachet to the navy, even while the institution’s efforts were directed at bringing glory to the Russian empire. As Pushkin observed, “the great Neva [river] exults the Russian fleet.” With all the pomp surrounding its activities, it is no wonder that the navy came to be regarded as a venerable institution, and its officers as embodiments of bravery and honor. Interestingly, the shroud of patriotism that enveloped the Russian navy did not disappear after the Russian revolution(s). As anyone who has heard of the Battleship Potemkin knows, the rebellion aboard the battleship – made infamous by the Eisenstein film – was an important event that suggested that the naval forces were sympathetic to the revolution. It was one of several rebellions by Russian naval forces on the long road to Bolshevik power. The Cruiser Aurora, another iconic ship in the Russian revolution (it signaled the storming of the Winter Palace in 1917), remains moored on the river Neva as a floating museum. One can argue that the legendary status of the imperial Russian navy is largely a cultural construction, yet some scholars have attempted to explain the distinctiveness and honor of the navy. Dmitri Kopelev suggested that the common Baltic German background of a preponderance of the naval officers in the nineteenth century facilitated their interactions. 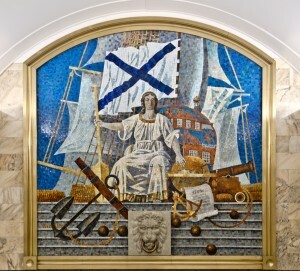 Evgeniia Lupanova argued that naval officers’ sense of honor and duty came from the high standards set out by the Naval Statute and from strong social pressure in long periods of relative isolation. Despite these exceptions, much of the Russian historiography on the navy remains empirical and retains a military focus. 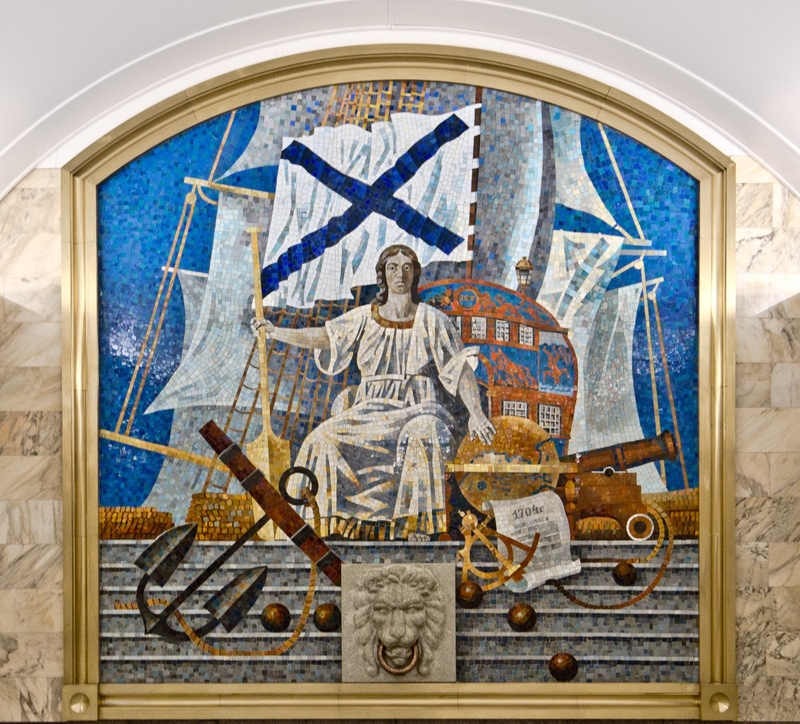 That scholarship is driven by stories of successful battles, scientific accomplishments, and great personalities – all of which add to the legendary status of the navy in Russian society. The current political climate in Russia, an “Emporium of Patriotism,” will likely preclude a revisionist history of the navy from Russian scholars for some time. Meanwhile, Anglo-American scholars have for the most part concentrated their efforts elsewhere. Yet, the Russian maritime experience is rife with symbolism, imagery, and material culture that deserve our attention. After all, might not studying maritime Russia change our traditional narratives of Russia as a land-based empire? 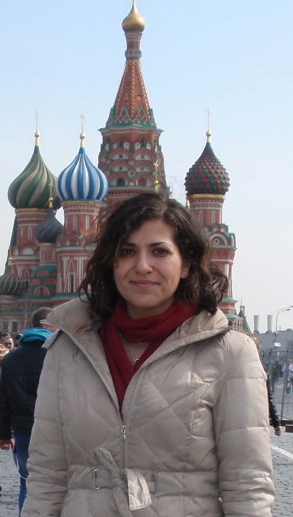 Julia Leikin is a Ph.D. candidate at the UCL School of Slavonic and East European Studies. She is interested in maritime legal culture, international law, early-modern and modern European history, and the Russian empire. 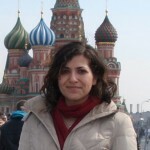 Julia is currently an IREX IARO Fellow, conducting archival research in Russia. She can be reached at j.leikin.12@ucl.ac.uk or on Twitter, @j_leikin. Aleksander Pushkin, “Chu, pushki grianuli.” [Hark, cannons have sounded!] (1833). My translation. See, for example, E.I. Arens, Russkii Flot [The Russian Navy](St. Petersburg, 1904); F.F. Veselago, Kratkaia istoriia Russkogo Flota, [A short history of the Russian Navy] 2nd ed. (Moscow, 1939). Available at http://militera.lib.ru/h/veselago_ff/index.html. For an attempt at a full list of all British and American officers in the Russian navy between 1725 and1804 see R.C. Andersen, “British and American Officers in the Russian Navy,” The Mariner’s Mirror 33, no. 1 (1947): 17–27; Anthony Cross, By the Banks of the Neva: Chapters from the Lives and Careers of the British in Eighteenth-Century Russia (Cambridge: Cambridge University Press, 1996). Ilya Vinkovetsky, “Circumnavigation, Empire, Modernity, Race: The Impact of Round-the-World Voyages on Russia’s Imperial Consciousness,” Ab Imperio 1–2 (2001): 197. 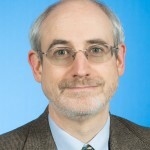 A version of the paper is also available at http://www.loc.gov/rr/european/mofc/vinkovetsky.html. For example of contested nationalist discourses of exploration and new territories in the Far East see Mark Bassin, Imperial Visions Nationalist Imagination and Geographical Expansion in the Russian Far East, 1840-1865 (New York: Cambridge University Press, 1999). Aleksander Pushkin, “Chu, pushki grianuli.” [Hark, cannons have sounded!] (1833). My translation. Michael Wachtel, A Commentary to Pushkin’s Lyric Poetry, 1826-1836 (London: University of Wisconsin Press, 2011), 259. Dmitri Kopelev, Na sluzhbe Imperii: nemtsy i Rossiĭskiĭ flot v pervoĭ polovine XIX veka [In the Service of Empire: Germans and the Russian Navy in the first half of the 19th century] (St. Petersburg: European University in St. Petersburg, 2010). E. M. Lupanova, Ofitserskii korpus russkogo flota : norma i deviatsiia povsednevnoi zhizni, 1768-1812 gg. [The Officer Corps of the Russian navy: norms and deviations of everyday life, 1768-1812] (St. Petersburg: Lema, 2011). Ilya Vikovetsky’s recent book aims to do just that. See Ilya Vinkovetsky, Russian America: An Overseas Colony of a Continental Empire, 1804-1867 (Oxford: Oxford University Press, 2011).